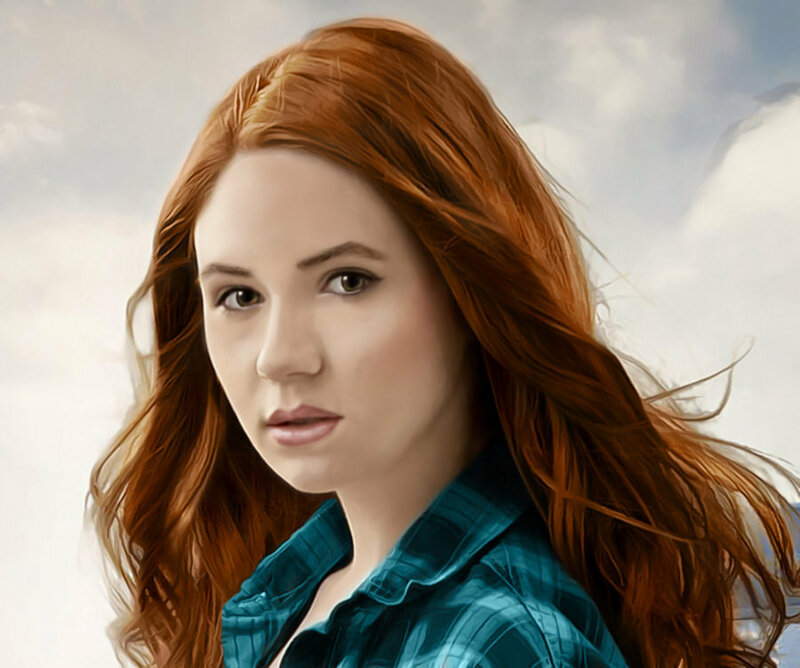 Karen Gillan as Amy Pond. . HD Wallpaper and background images in the Amy Pond club tagged: amy pond karen gillan companion series 5 doctor who. This Amy Pond fan art contains चित्र, headshot, closeup, हेडशॉट, and क्लोज़अप. There might also be ऊपर का कपड़ा, overclothes, ऊपरी वस्त्र, ओवरक्लाइट, कीमोनो, and किमोनो.